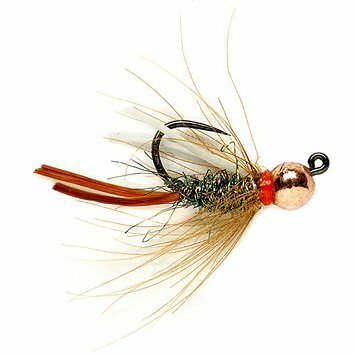 Hoping to nymph up some trout in fast water? Reach for this fly and get ''er done. CDC hackle teams with a Flexi-Floss tail and wing for added movement when the water is clipping along. Add a dash of peacock ice dub for a bit of flash and you have a fly that is nearly irresistible. Tungsten bead head ensures a quick drop through the water column. Tactical hook is barbless and features a claw point.